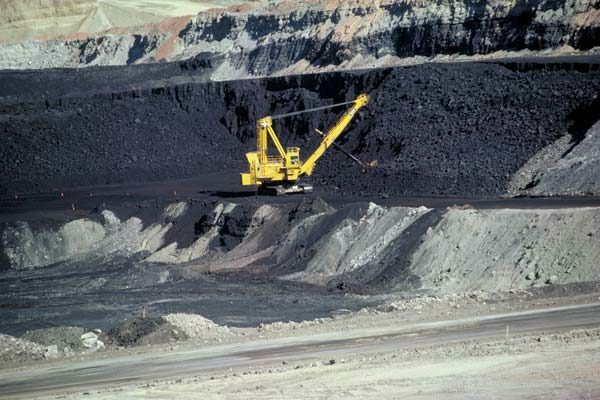 Open-pit coal mining in Wyoming (Wiki Commons photo). A dire new report called the National Climate Assessment, produced by 13 Trump administration agencies and released on Black Friday, provides a stark warning about the economic and environmental threats posed by man-made global climate change. But in Colorado, Democratic elected officials and policymakers are taking the report very seriously. The National Climate Assessment, the fourth report released by the U.S. Global Change Research Program, highlights temperature increases throughout the Southwest region of the United States from 1901 to 2016, with the greatest increases in western Colorado and southern California. Hotter temperatures have also reduced seasonal snowpacks over the past 30–65 years. 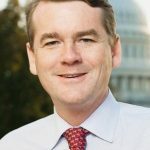 “I’m glad to see the Trump administration is finally acknowledging the science behind our changing climate — now it’s time they act on it,” added Bennet, a Senate Agriculture, Nutrition, and Forestry Committee and Senate Finance Committee member who’s working on legislation aimed at drought, wildfire, carbon capture, renewable energy and energy efficiency. “Brutal and Extended Cold Blast could shatter ALL RECORDS – Whatever happened to Global Warming?” Trump wrote. Some scientists believe that the warming of the Arctic is in fact contributing to periodic bursts of intensely colder weather farther and farther south while the overall temperature of the planet continues to rise and make weather events more powerful and devastating throughout the year. 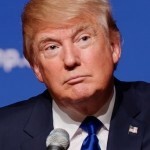 Meanwhile, Trump has made good on promises to begin to dismantle the regulatory framework President Barack Obama put in place to wean the nation off fossil fuels, especially the burning of coal for electricity. Trump is pulling the country out of the Paris Accord – a hugely unpopular move in Colorado – and stopped the EPA’s Clean Power Plan in its tracks. The new report comes right after midterm elections that saw Democrats dominate Colorado and decisively retake the House of Representatives. The Democratic battle over the next Speaker of the House is especially timely give House Leader Nancy Pelosi’s record on climate change in her previous stints as speaker. U.S. Rep. Nancy Pelosi, D-Calif.
Pelosi in 2009 spent considerable political capital to narrowly shepherd the Waxman-Markey bill – aka the American Clean Energy and Security Act – through the House, only to see it fail to reach the floor in the Democrat-controlled Senate then led by Nevada’s Harry Reid. Mired in the bruising battle over Obamacare at the time, Reid didn’t have the votes to also pass Waxman-Markey, which would have established a cap-and-trade system for carbon emissions and set certain renewable energy targets. In a 2011 interview with RealVail.com, Pelosi said she did not regret doing the right thing and taking the tough votes on a climate bill that in retrospect looks prescient and necessary in terms of reversing the harmful effects of runaway carbon pollution. The California Democrat added that she did her job and at least expected the Senate to debate their version of the House bill. At that time, Pelosi had moved on to trying to offset the harmful impacts of oil and gas drilling and especially the controversial process of hydraulic fracturing, which was just then starting to become a major issue on Colorado’s Front Range. Now it’s a hot topic that in many ways shaped the outcome of the state’s most recent gubernatorial race. 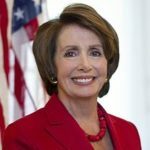 “Natural gas is a domestic supply that again is plentiful and is not so expensive and I hope not as dangerous to the environment as other fossil fuels,” Pelosi told RealVail.com in that 2011 interview in Denver. “The evidence seems to point that it isn’t. 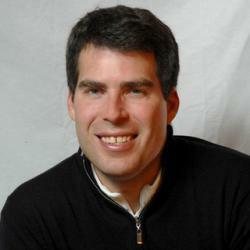 “It’s a great transition to when all the renewables are ready and much more operating. And it may be that it’s clean enough to be an answer for a very long time to come. But this fracking issue has to be cleared up,” Pelosi added. Many Democrats view the Waxman-Markey saga as a missed opportunity that continues to haunt the nation – much as the failed presidential bids of climate-change champion Al Gore in 2000 and Hillary Clinton in 2016 continue to reverberate. Both Democrats, who won the popular vote but lost the Electoral College, would have enacted much more aggressive climate policy. On the Western Slope of Colorado, the last Democrat to hold the 3rd Congressional District seat dominated by Republican Scott Tipton since 2010 was rancher John Salazar. He voted against Waxman-Markey to avoid the political damage in his heavily conservative district loaded with coal and natural gas, only to be run out by the anti-Obama Tea Party wave. While coal continues to slide as the fuel of choice in Colorado and nationally, it’s still on the rise in the rest of the world, especially in Asia – a continent that, according to The New York Times, accounts for more than half the world’s population and three-quarters of its coal consumption. Should she be named House Speaker again, Pelosi will no doubt try to protect what remains of the Obama energy agenda, but with Republicans gaining seats and still controlling the Senate, and Trump in the White House at least until 2020, the efforts of House Democrats may once again prove to be too little, too late to avoid the worst effects of a warming world.